For young, emerging companies, the need for venture capital is acute, but even more so for biotech startups, which must negotiate the “Valley of Death” to reach profitability. This term describes the need for high levels of funding to move a promising drug concept through initial and costly clinical trials in order to gain acceptance from the investment community, a painful catch-22. Cheng Liu knew nothing of these limitations when he envisioned his own biotech company. A Chinese émigré, Liu came to the University of California, Berkeley in 1990, obtaining a Ph.D. in biochemistry in 1996. He elected to do a postdoc at Chiron Corp., now Novartis Vaccines and Diagnostics, Inc., which eventually turned into a permanent position as a research scientist. Then in 2005 he met Sandy Chau, a Chinese-American investor who has a background in chemistry and, as an angel investor, has played a prominent role in developing several companies. As a member of the billionaire investors club, Chau is well positioned to put money into new ideas as well as his pet philanthropic interests. He is the founder of Acorn Campus Ventures, an investment fund with its fingers in a number of Sino- American partnerships. The two soon found themselves to be kindred spirits. Chau, fascinated with biotechnology, asked Liu to provide a primer on the field. Although he had no background in the area, Chau proved to be a quick learner and eventually encouraged Liu to start his own company. “He said he would provide startup funds, but I would need to quit my job and devote all my energies to getting the company off the ground,” recalls Liu. Backed by this bolus of funding, between 2006 and 2008 the company plowed ahead, moving the technology forward, which susequently led to additional funds being raised. 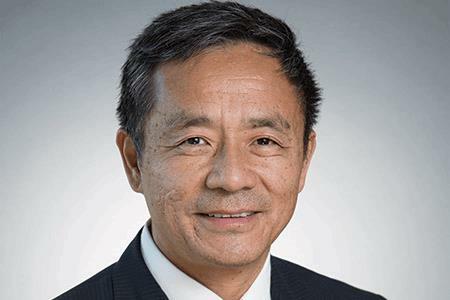 With his small team, Liu pushed the concept of antibody dependent cell cytotoxicity (ADCC) as the company’s weapon against cancer cells and succeeded in filing three patents on ADCC technology. These patents were developed with a staff of seven people in the same building in Emeryville, CA, that the company occupies today, albeit on a larger scale. But in 2008 the money was running out. They had patents, but they needed more support. This was at the depths of the financial crisis, the worst of all possible times to be looking for financing. "At this point I decided we had to start producing something we could sell." The Eureka strategy applied the CAR-T approach in which the antibody genes developed against specific cancer-cell antigens are inserted into a patient’s T cells, generating a chimeric structure that targets, binds to, and destroys the cancer cell. While initially there was great skepticism that the approach would work, the naysayers were proven wrong. With the science going apace, by 2014 the international investment picture had improved greatly, and Liu had a serendipitous encounter with another Chinese investor, Ce Yuan Venture, that decided to put $10 million into Liu’s company, and Chau chipped in another $11 million. More recently, in January of 2016 at a JP Morgan conference, Liu met with a representative of the Shanghai investment fund GP Capital Co Ltd., and after multiple meetings, raised another $20 million. Again, Chau and early investors put in another $25 million. Today Liu is in a very strong financial position to push forward on his costly clinical trials. The company has been frugal in its expenditures, having spent $40 million since its inception. But it has raised a total of $70 million in venture capital (including additional funding from Chau) and another $20 million in sales of their antibodies and licensing their technology. So this leaves a total of $50 million in the bank. Liu stresses that his investors look to the long term, recognizing the agonizingly slow pace of drug development. “They are very patient and very passionate,” he says. Now, paperwork has been submitted for Phase 1 trials at City of Hope Medical Center in Duarte, CA, expected to begin in January of 2018. These trials will evaluate a CAR-T immunotherapy with an alpha fetoprotein-MHC antibody against patients with liver cancer.